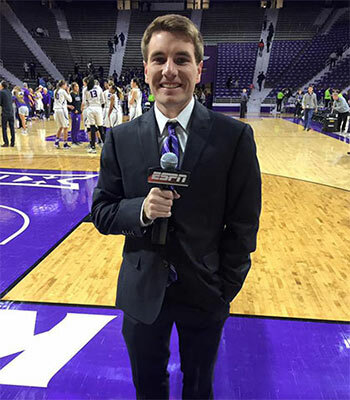 Avery Osen, a 2015 graduate of Cowley College, was recently recognized by the Kansas Association of Broadcasters for his outstanding efforts in broadcast communication. Osen is currently a student in the A.Q. Miller School of Journalism and Mass Communications at Kansas State University and plans to graduate in May. He received first place for “Avery Osen News Anchoring” in the DJ personality for radio or news anchor for TV category and an honorable mention for “Sports with Avery Osen” in the sportscast category. Student entries were produced and aired on broadcast, cable, or webcast during the 2016 calendar year. Entries were judged on excellence, believability, creativity and effectiveness. Osen will be recognized at the annual Kansas Association of Broadcasters Student Seminar luncheon on Tuesday, April 4, in Topeka. The seminar will include panels and round-table discussions to acquaint students with the future of broadcasting, career opportunities and the real world of broadcasting. A job fair for graduating college seniors will be available.